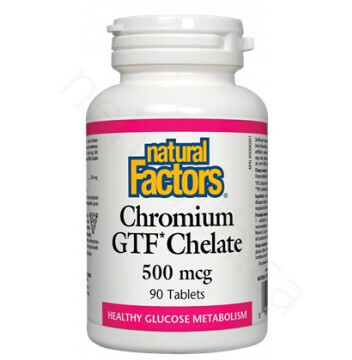 Chromium GTF (glucose tolerance factor) by Natural Factors is an easy to absorb form of chromium which is derived naturally from yeast in the safe trivalent form. 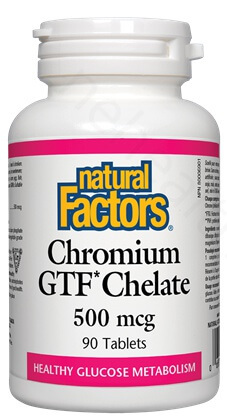 Chromium is used in glucose metabolism and is the main mineral required for insulin production. 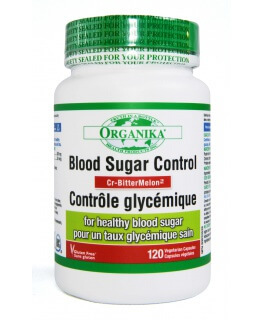 "Chromium works with insulin to drive sugar from your blood into the tissues of your body for use or storage. 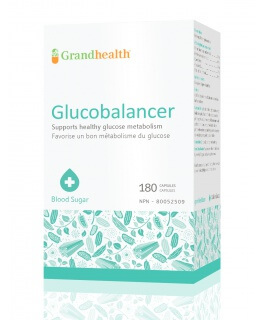 This mineral is so important in sugar tolerance that severe deficiencies of it cause a diabetes-like illness to develop"
HVP: Hydrolyzed Vegetable Protein (Sourced from rice). 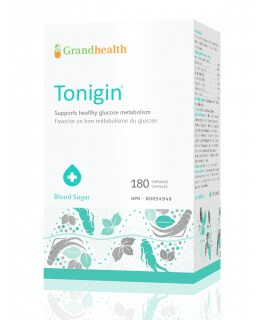 Non-medicinal ingredients: Dicalcium phosphate, microcrystalline cellulose, vegetable grade magnesium stearate (lubricant). Adults take 1-2 Tablets daily or as directed by a health care practioner. Anderson, Richard A. "Chromium metabolism and its role in disease processes in man." Clinical physiology and biochemistry 4.1 (1985): 31-41. Anderson, Richard A. "Essentiality of chromium in humans." Science of the Total Environment 86.1 (1989): 75-81.